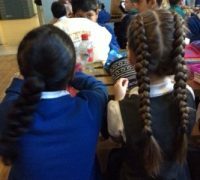 Led by the Ethnic Diversity Service (Stockport Council), the Manchester Schools Linking Programme (initially with Stockport) launched independently in 2017 with 14 classes. 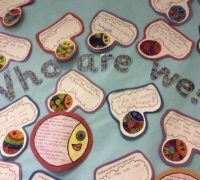 This year involvement has increased to 36 classes from 18 primary schools and 2 secondary schools; engaging a fabulous 1014 children. 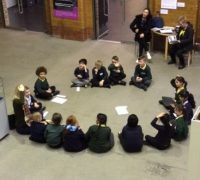 It provides an opportunity for staff and pupils to celebrate the similarities and be comfortable with the differences with schools from across the city and beyond. 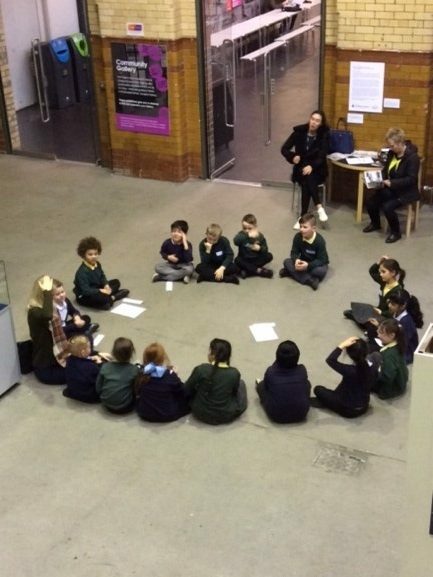 Our neutral venues offer a range of activities and include: The Manchester Museum/ The Whitworth Art Gallery (minecraft communities/ butterfly art); Z-Arts (a creative arts centre offering drumming, street dance, drama, screen printing, pottery, singing); Lyme Park (NT) (den building, orienteering, outdoor art); The People’s History Museum (mosaic and clay). Some of our partner schools are so close they walk to each other on visit days. For others, it can take an hour to travel to each school. Regardless of the distance, all have found common ground. 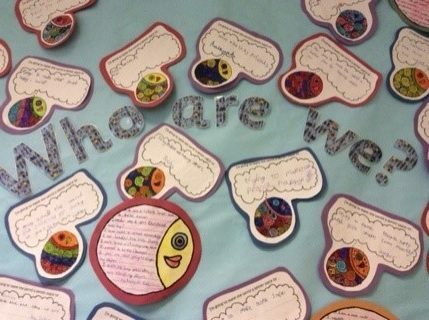 Staff and children have shared experiences, have learnt from each other, have laughed and eaten together. Schools Linking has provided the structure for long lasting relationships between schools. 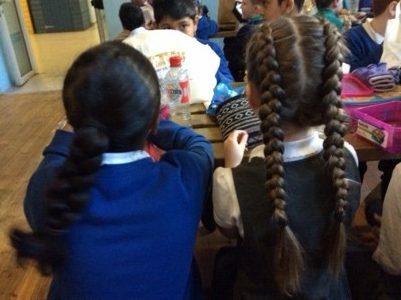 Before Manchester’s Linking Programme was established, Arden Primary School, Stockport and Birchfields Primary School, Manchester had been linked for eight years- an established link professionally for staff and for the children who have passed through Year 4.